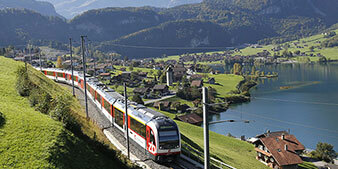 The brand-new panoramic train Luzern-Interlaken Express now takes you to discover Lake Brienz and the Giessbach falls. 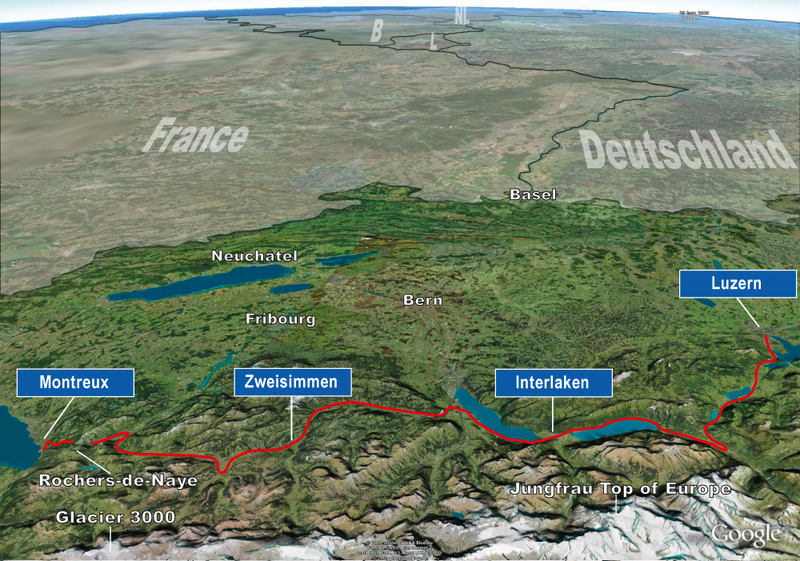 But let’s not take it too fast, as before then it reaches Interlaken which means “between two lakes”, Lake Thun and Lake Brienz. 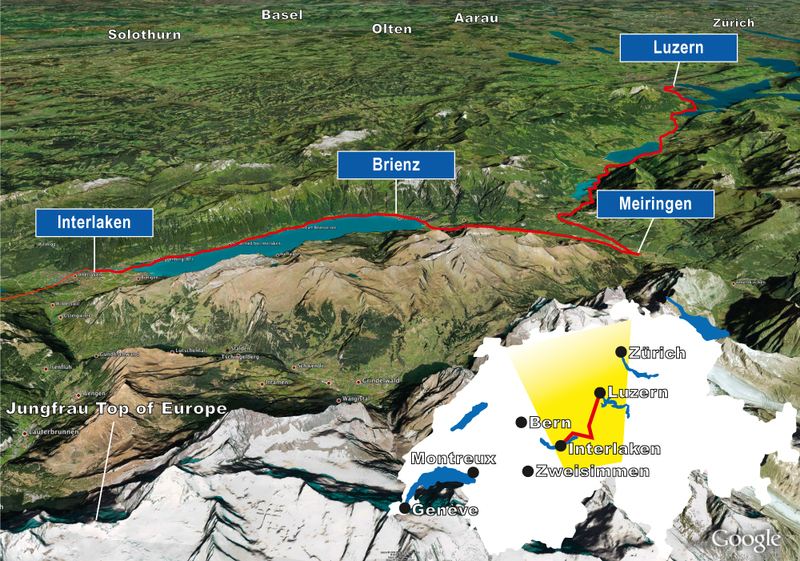 You might be lucky enough to get a glimpse of the Eiger, the Mönch and the Jungfrau, known as the proud 4000s, which have made this tourist gateway to the Bernese Oberland so famous. 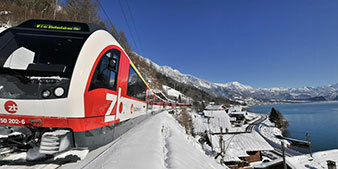 The train will then change from one bank to the other which gives you a better view of the snow covered summits. It is said that Lake Brienz has a very distinctive colour. Could this be due to its glacial waters? Take a look for yourself and when in Brienz, look towards the other bank to see the white foam of the Giessbach falls tumbling from the rocks above. The Reichenbach falls near Meiringen will be next. You will then climb back up to the high pastures towards the Brünig pass. A medium altitude pass, it is located at an altitude of just over 1,000 m. The countryside rolls past on both sides. 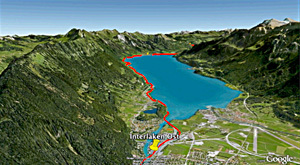 On the other hillside, there are three small lakes; Lungern, Sarnen and Alpnach and just after these, Lake Lucerne. You are now in the historical heart of Switzerland. Lucerne which is the goal of your trip, is close by. Facing the station is the lake and the bridge over the Reuss, leading towards the charming old city, the promenade along its quays and its elegant hotels.